The Volvo lineup is known for safety and the Volvo S60 is no exception. This sedan offers redefined luxury, a sleek Scandinavian design, a comfortable ride, and a thrilling performance. With a high attention to detail and clear craftsmanship, you'll be sure to turn heads on your daily commute. Standard City Safety auto-braking and available blind spot monitoring will make you feel safe behind the wheel, while the leather sports seats will remind you why you've chosen a luxury. The Volvo V90 Cross Country is iconic for a reason; with sophistication, sleek lines, and all-road capabilities, it's hard to ignore this Volvo wagon. With more standard safety features than other competitors, this luxury vehicle will get you to every destination in style. Plus, whether you're in the front seat or the back row, you'll have plenty of room to stretch out. Enjoy the intuitive technology and high ground clearance this luxury vehicle has to offer. Scandinavian luxury has never looked better than the Volvo XC90. This heavily awarded luxury SUV deserves all it's accolades, with plenty of safety features, impressive fuel economy, modern technology, and speakers that make you feel like you're experiencing a live concert. The interior cabin is clean and modern, offering room for up to seven passengers. Experience the finest materials around behind the wheel of the comfortable but luxurious Volvo XC90. If you're ready to enjoy every commute, the Volvo lineup offers luxury, sophistication, and innovation, all handcrafted with a strong attention to details. From every nook in your Volvo vehicle, you'll be impressed. 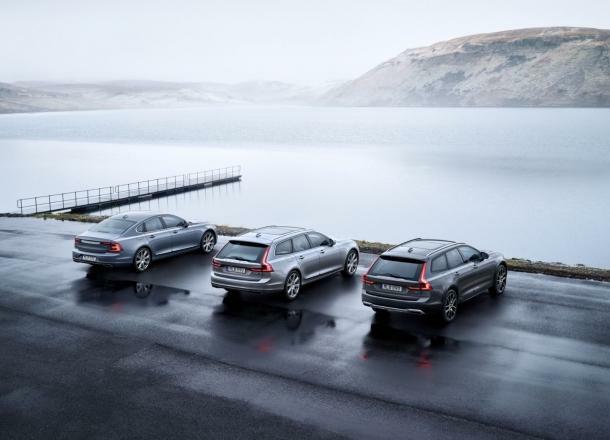 Make sure to explore all the luxury vehicles offered in Dayton, OH at Volvo Cars of Dayton. From sedans, wagons, and SUVs, you'll find a model and trim level that checks off all your boxes. If you're not sure which car to invest in, we recommend scheduling a test drive with our experts. If you've already decided, contact our auto financing center to discuss Volvo lease options, financing plans, current Volvo specials, and more!